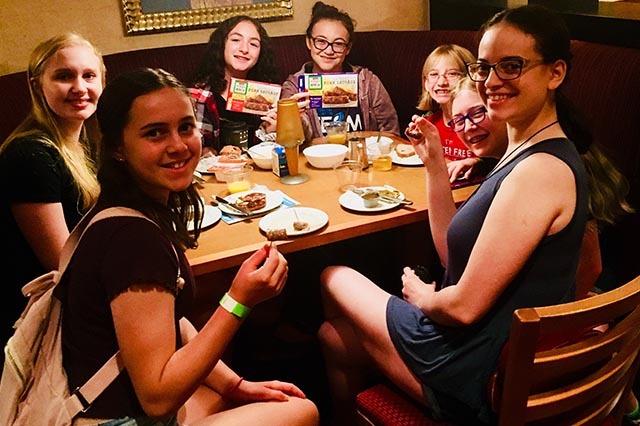 Jones Dairy Farm played a key role in the first annual Generation GF Teen Summit & Family Retreat as a senior-level supporter and sole sponsor of the gluten-free breakfast area. The sold-out summit, attended by more than 50 families from around the country, took place at Disney Springs in Orlando, Fla. from June 27 – 30, 2018. Top experts in the gluten-free industry and associated medical field, as well as esteemed college and educational speakers, participated in the event. Notable speakers including Dr. Peter Green, Director of the Celiac Disease Center at Columbia; Registered Dietitian Michele Lefebvre, Director of Nutrition at Cornell Dining; Dr. Anne Lee, Nutritionist at Celiac Disease Center at Columbia; and Gary Jones, Culinary Dietary Specialist for Walt Disney World Food and Beverage. Jones was not only proud to be the sole sponsor of breakfast but was also onsite to prepare and serve an array of certified gluten-free breakfast meats that included all natural pork sausage, maple pork sausage, chicken sausage, turkey sausage, naturally hickory smoked ham and Canadian Bacon. The Jones products were well received by both the teens and their parents. Visit www.gluten.org/kids/ to learn more about the outstanding work being done by Generation GF.